This cable enables your Yaesu radio to control the transmit/receive switching of your linear amplifier(s). Essential if your linear doesn't have RF sensed switching. Even with amplifiers with RF switching, it eliminates the need for switching delays that often mean missing the first part of the other station's transmission - irritating at best, but disastrous while contesting or working fast CW! One end of the cable has a 5-pin mini-DIN plug which connects to the transceiver's SBY socket. 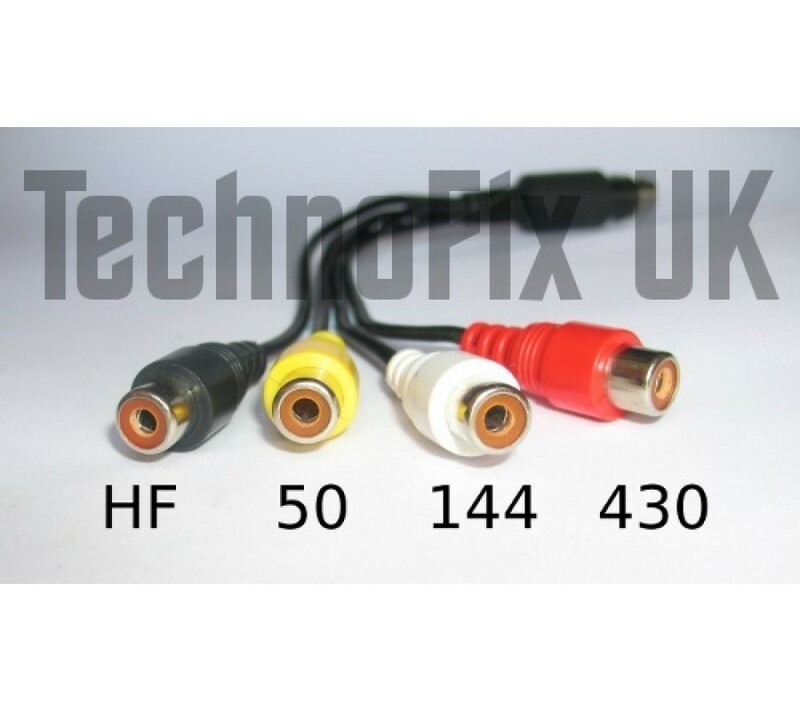 The other end has four colour-coded, female phono (RCA) tails, one each for HF, 50MHz, 144MHz and 430MHz. A phono to phono cable is used to connect each tail to the Key, Tx or PTT input connector of the respective linear amplifier for each band. A replacement for the unobtainable Yaesu CT-61 SBY cable. 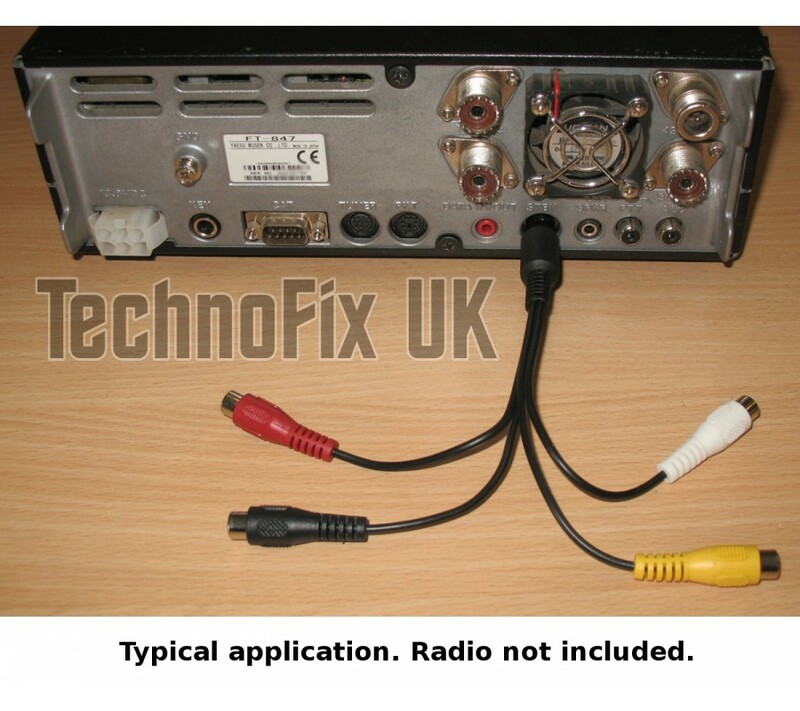 You will also need a phono (RCA) to phono (RCA), screened (shielded) cable for each amplifier. 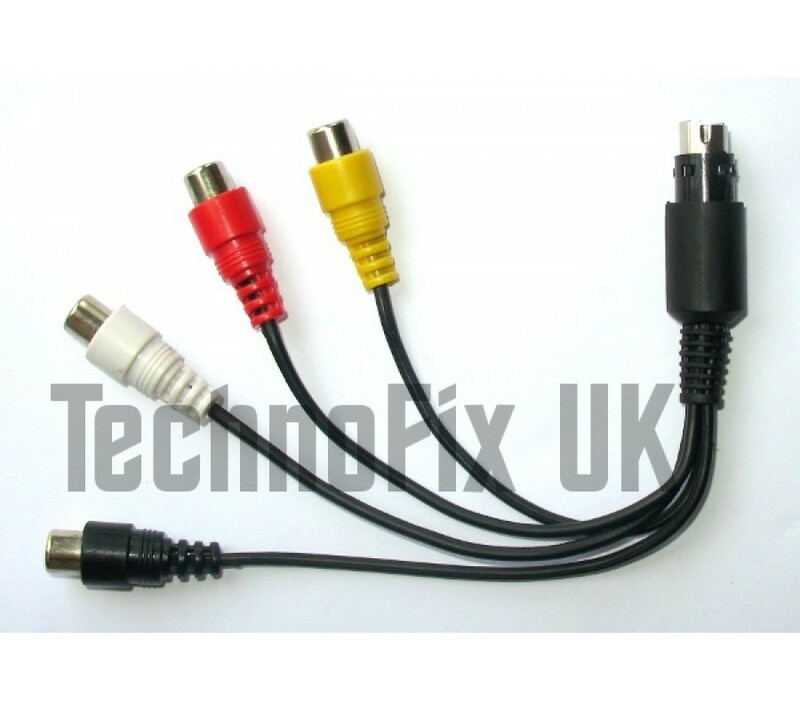 Since the number of cables and lengths required will vary widely according to individual requirements, we do not supply them with the pigtail. 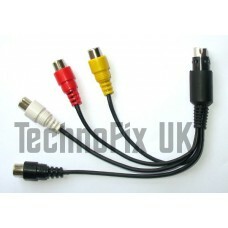 Suitable cables can be sourced locally or on-line from an Audio/Video accessories supplier. If you only need to switch your HF linear, you can use our 8 pin cable in the TUNER socket.